The final day of this list and my favorite game of the year. To be honest there wasn't one that made it an easy choice for me, but this one edged out the others I've listed over the last few weeks. 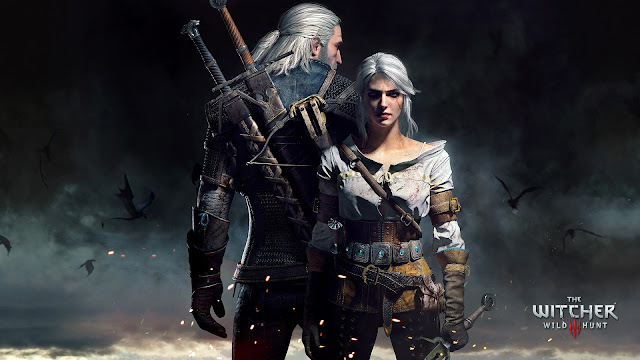 The Witcher 3 was a fantastic accomplishment by Developers CD Projekt. A huge fantasy world come alive before us. It is possibly the most immersive experience in terms of world building and narrative. The third entry in the series is the most expansive yet. The world the most viscous and morally corrupt. The entire narrative takes place in the shades of grey in-between good and evil. There are no clear heroes in this world, even the Witcher himself can be as much villain as hero should you play him that way. Characters in this world are largely selfish and have their own ambitions. It makes for interesting characters, and a story that, by and large, steers clear of too many cliches. The writing is strong throughout, and much has been made of some stellar early quests (yes, Bloody Baron I'm looking at you), but it remains pretty consistent throughout. It's a slight shame that the hero is the most two dimensional character on display, given they allow you to tailor him to your own tastes, but he is very much the mercenary, and serves more as your window into the world than a true protagonist. There is also the huge open world that feels genuinely massive. It is a lot of fun to explore, perhaps to a fault. Often times you'll get so distracted from the main story-line you may well forget what your goals were in the first place. It gives the Elder Scrolls games a real run for their money in terms of scale and polish. Just like the Elder Scroll games however it is also not without its' flaws in familiar places. Although the combat is the most refined it has been in this series, it is still far from polished or tight. It's often frustrating, and favors some fairly basic rotations once you find a tactic that works. It isn't conducive to exciting moment to moment game-play memories. You're often playing it despite its combat rather than because of it. That said, it didn't detract from the sweepingly epic nature of the overall experience. This game world has been crafted with a level of passion that bleeds through. (It makes me very excited to see what the same studio makes of the Cyberpunk game they have slated). It's a fantasy world that feels real, and is home to real characters. It's going to be a touchstone for big budget RPG titles for years to come.